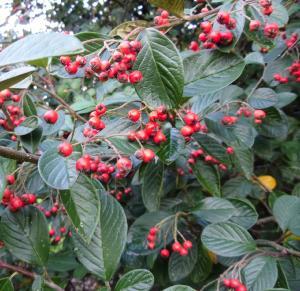 Cotoneaster lacteus is arguably one of the nicest species in the genus, having very persistent evergreen foliage, foaming masses of creamy white flowers late in the summer and then a blazing show of berries throughout the late autumn and often through into spring. 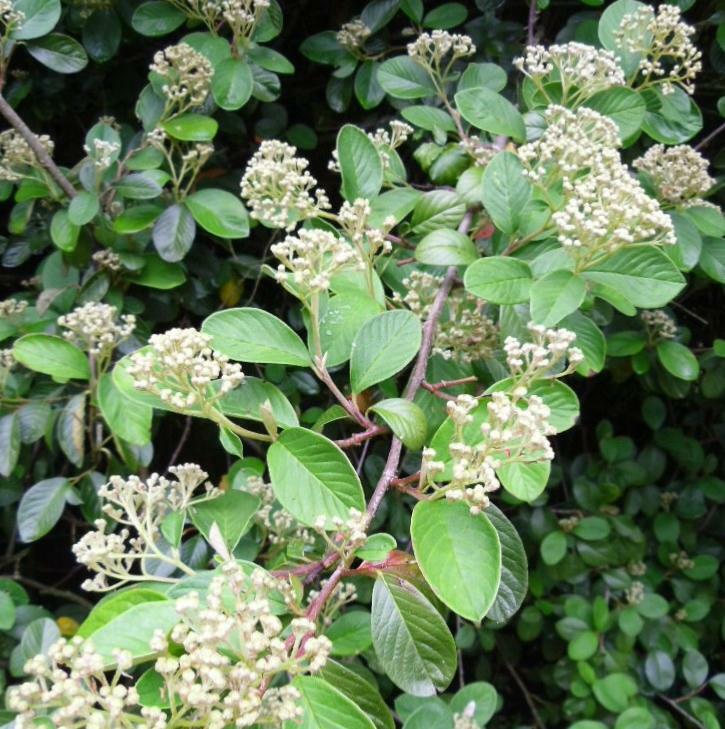 It is on account of its Jersey Cream coloured flowers in July that one of its common names is given as ‘Milk-Flower Cotoneaster’, the other name being just ‘Late Cotoneaster’ on account of the lateness of its bloom and fruit. 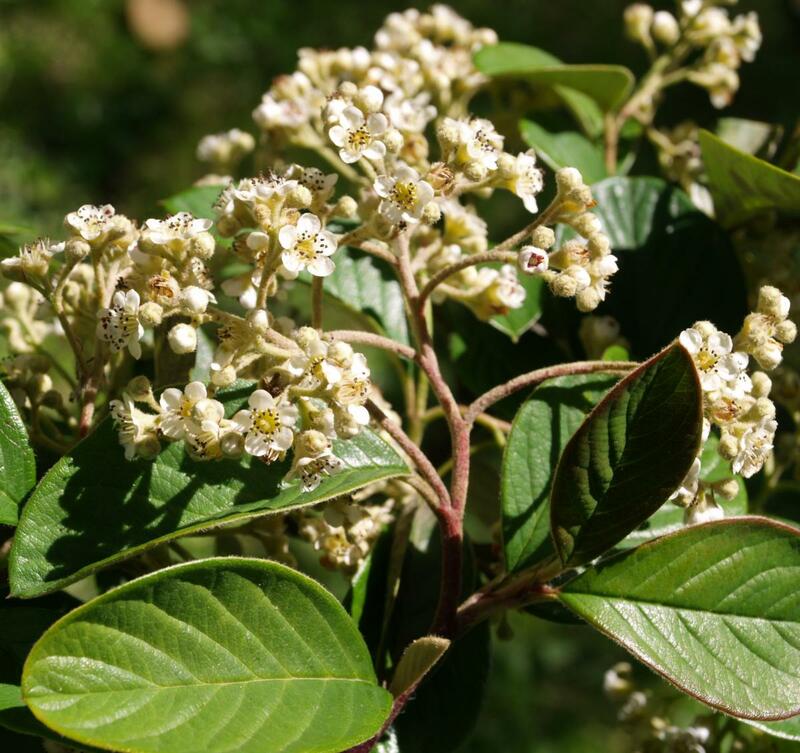 The specific given name lacteus meaning ‘of milk’ or ‘milky’ is of course itself pertaining to the flower colour which is such a feature of this species. 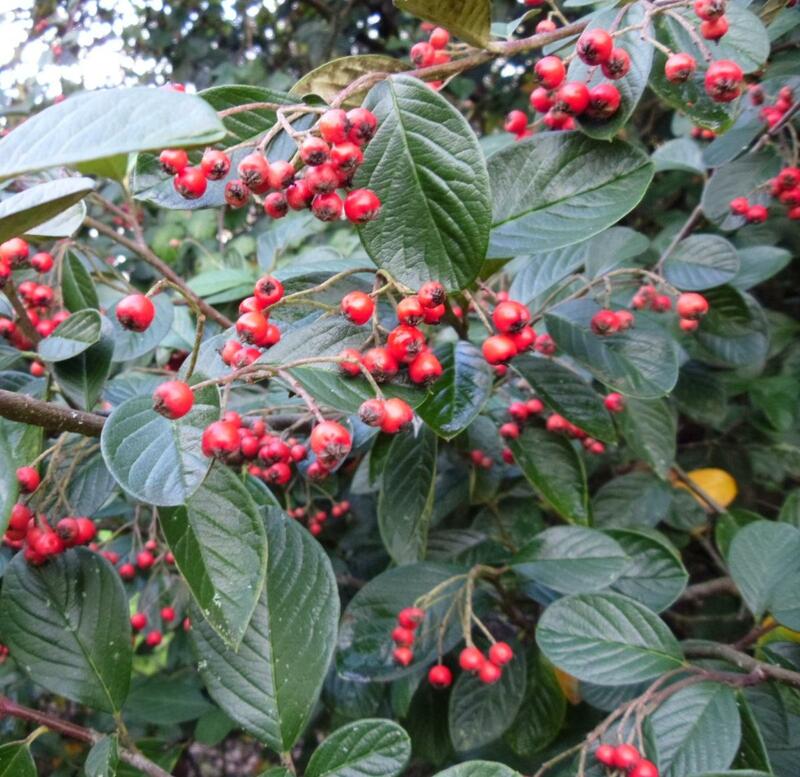 Introduced by the intrepid Scottish plant hunter George Forrest from Yunnan, China in 1913 this lovely Cotoneaster wasted no time in charming gardeners and landscapers not just in Great Britain, but also in Ireland and throughout the Commonwealth and in many other countries of the world. 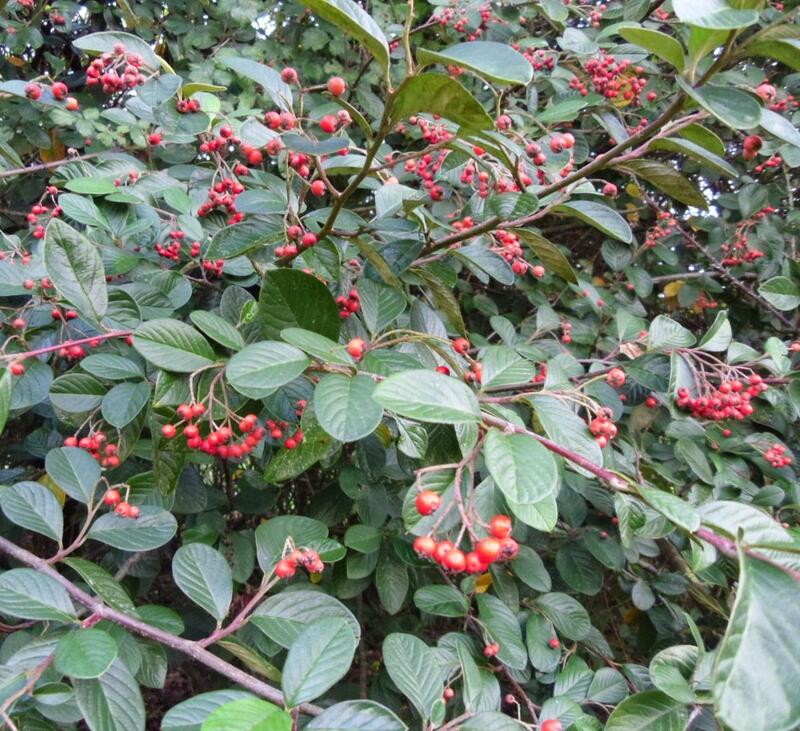 Cotoneaster lacteus makes a lovely shrub just left to its own devises, but for many gardens it will grow too big at up to 3m in height.Fortunately, like most Cotoneasters, it is very amenable to pruning and is enhanced very often to great effect by so doing. 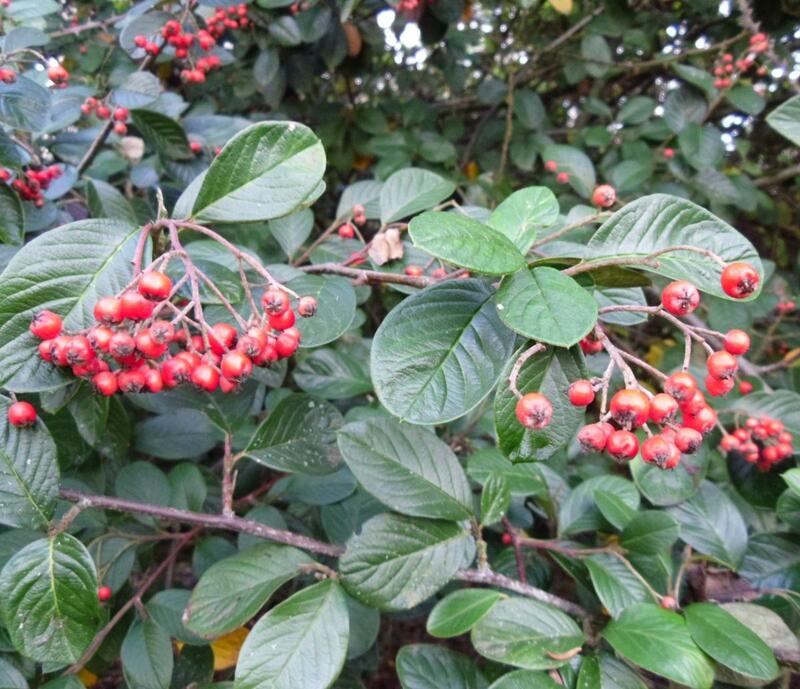 In this way it can be kept in check as a standalone shrub and makes a magnificent hedging subject, which, if cut at the right time, will reward with an outstanding display in winter caused by the unveiling of its rich shiny red fruit. 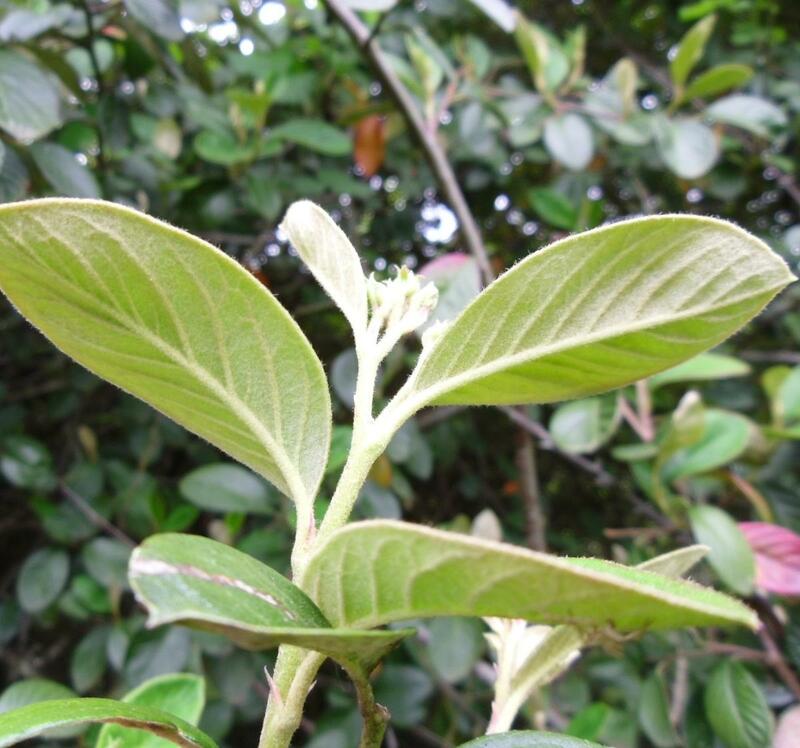 Trained to a single stem it can make an interesting small evergreen tree – trained to a wall or fence it can compete with the best of climbers and hide the ugliest of eyesores. The final icing on the cake is that it isj ust so easy to grow, tolerating all but the most waterlogged of soils regardless of fertility or Ph in full sun or dappled shade - and nothing much bothers or devours it, be it rabbits deer or the more minute insect munchers that so often make the gardeners life a misery. 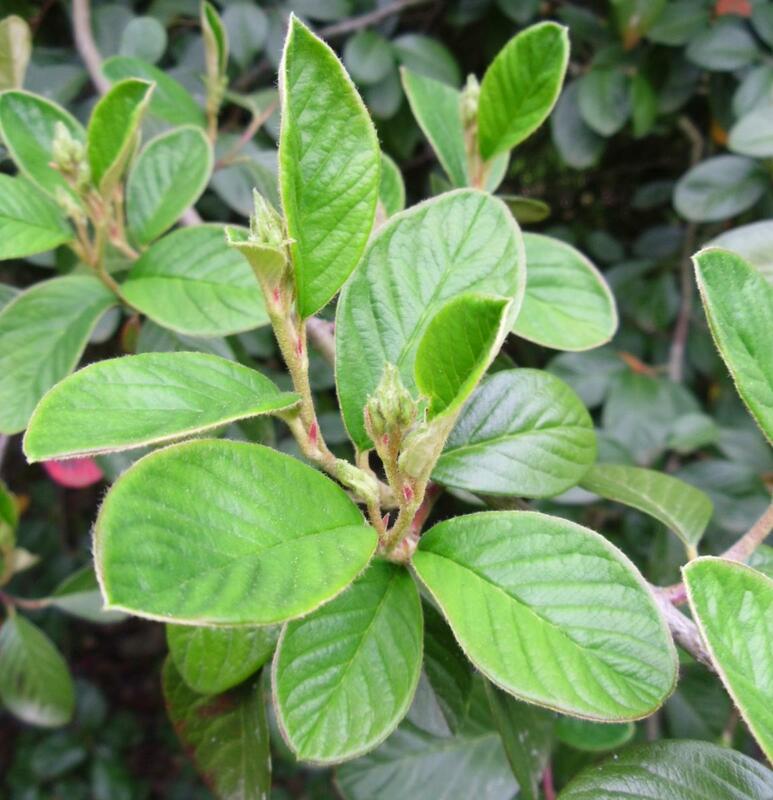 As plants go, it is almost perfect. 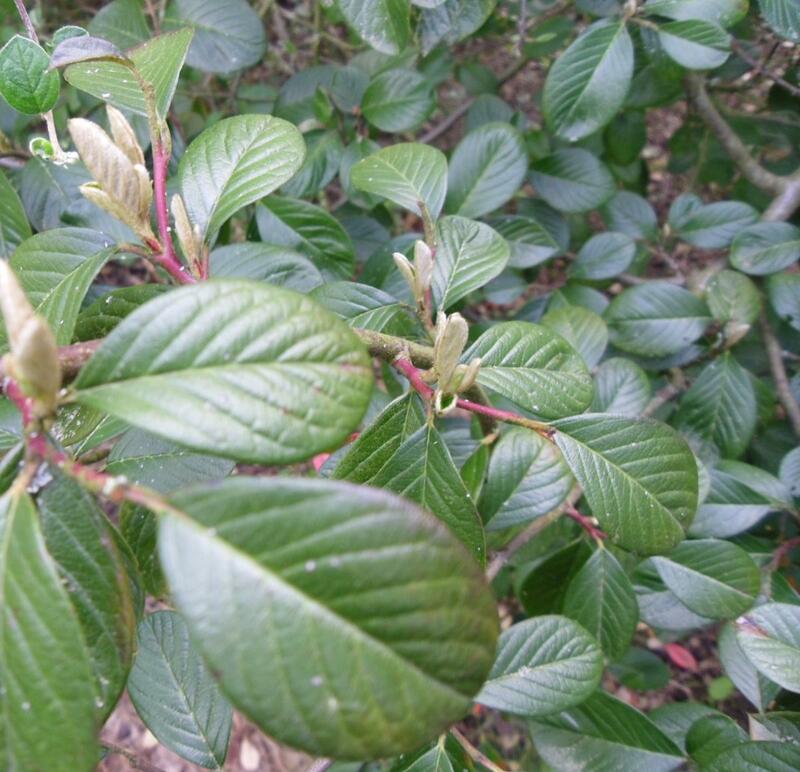 We supply these plants in 9cm pots as bushy vigorous young plants.